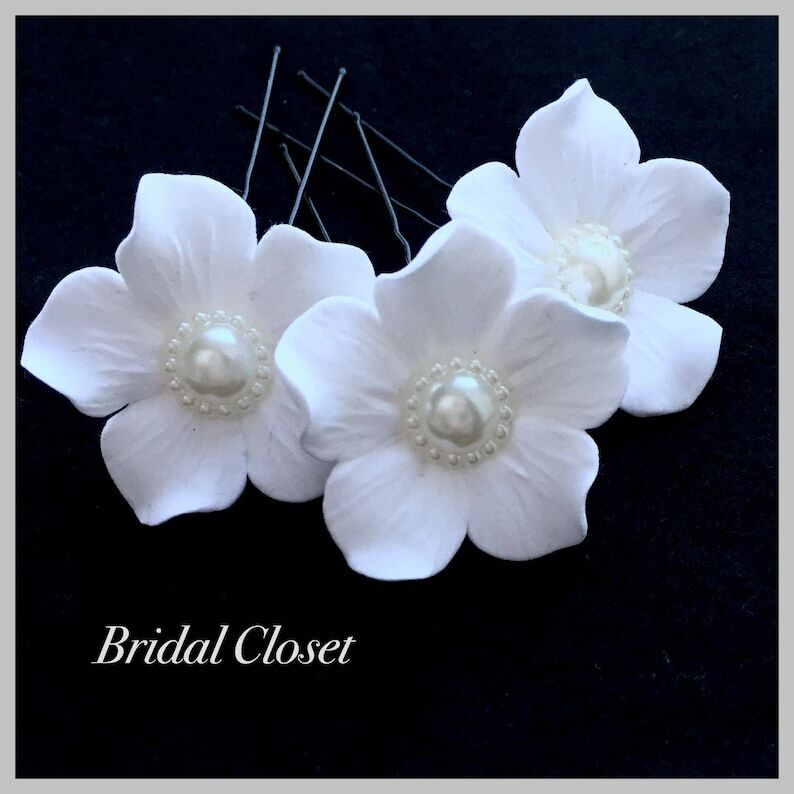 These pretty flower hair pins will be a stunning hair accessory for a bride! They are made of lightweight, air dry material. Measurement: approx. 1.5" (3.5 cm) across. Please select a desired color while adding to cart. Attached to U shaped hair pins. It takes around 2-3 weeks to deliver the parcel from Europe to US, Australia, Canada and other overseas destinations. Shipping time to European countries - around 1 week. Express EMS shipping is available for extra cost. Please read My Shop Policies for more information. These are soft, but not too soft and beautiful. I accept the payment via PayPal and credit cards. Custom tax/duties (in case required) while receiving the package to be covered by the customer. - return shipping costs shall be paid by the customer. The orders are sent worldwide to the shipping address stated in your Etsy profile, so please make sure that it is correct. Or please contact me in case another address should be used. Usually the items are sent within 2-4 business days after receipt of payment. I send the packages via standard registered airmail service. Package tracking number can be provided upon request. USA, Canada, Australia and other overseas destinations - around 2-3 weeks. *USA, Canada, Australia - delivery within 8-12 days, costs extra $26. !!! Please leave your telephone number at the "Note to Seller", so that EMS mail courier may contact you when the package arrives. *To other countries - please contact me for the information. All items are securely packed in the boxes to avoid their damage during the shipping.